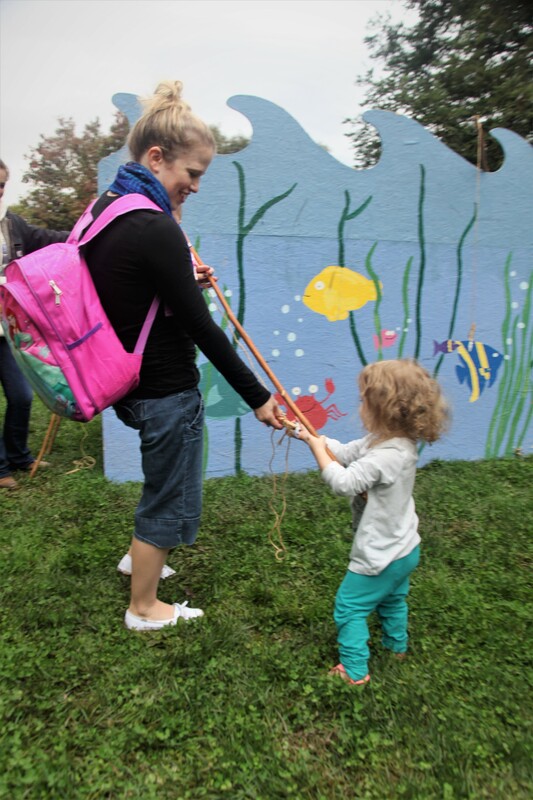 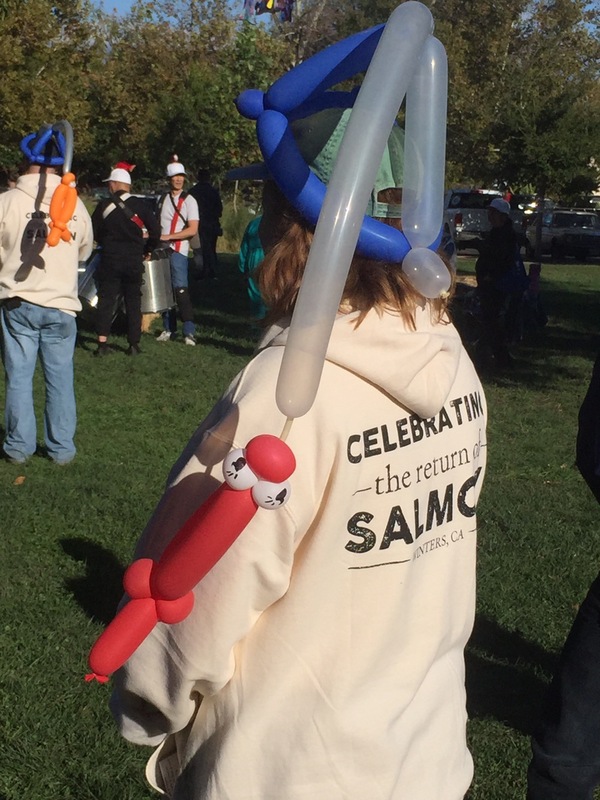 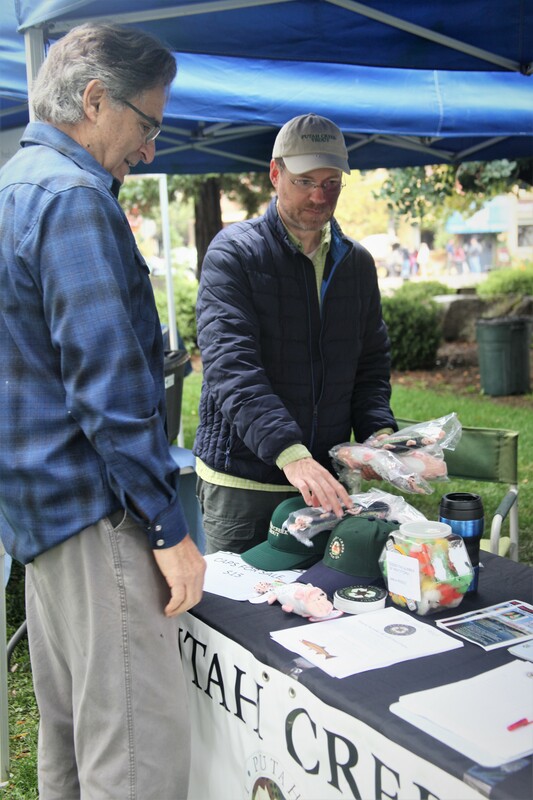 The rain cleared and sun shone on the 2nd Annual Winters Salmon Festival and PCT was there to celebrate! 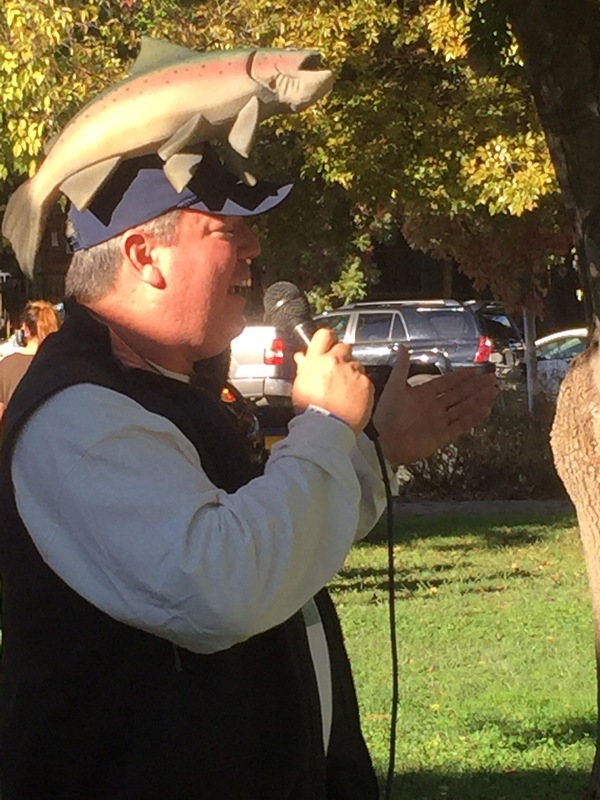 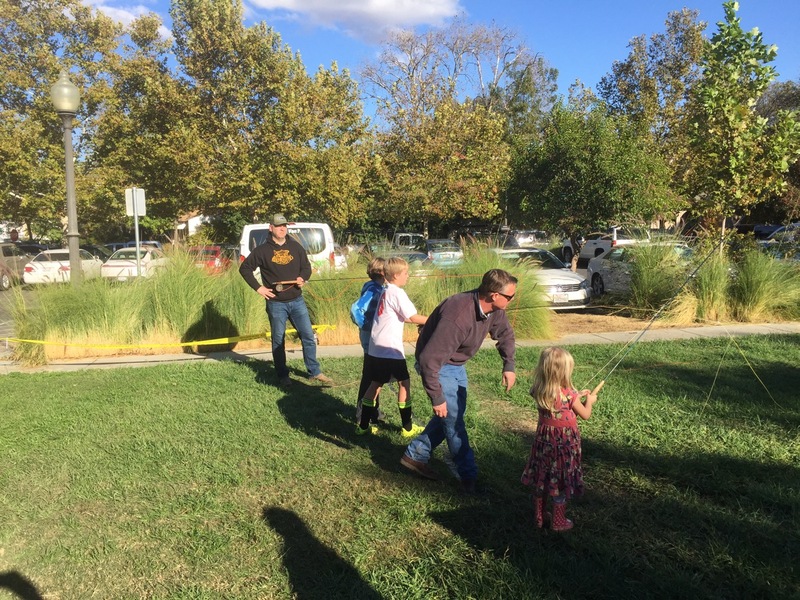 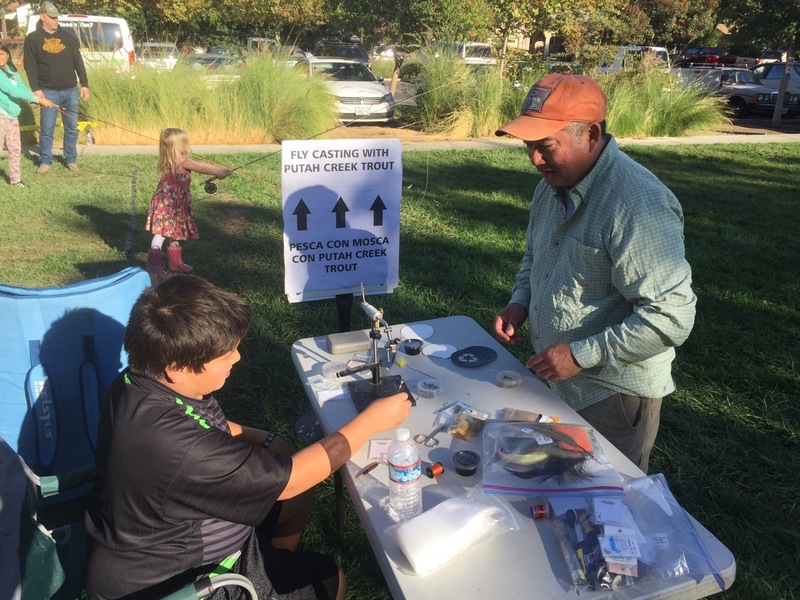 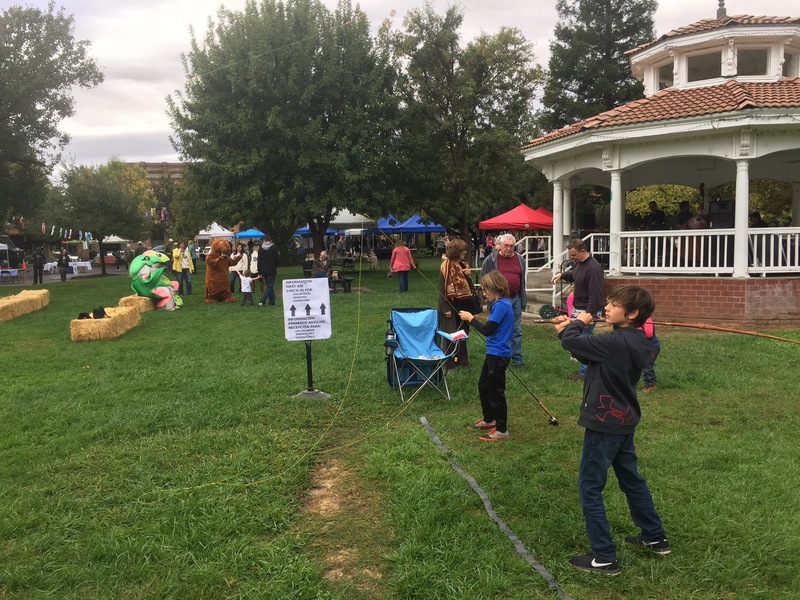 Putah Creek Trout and our conservation partner, the John Muir chapter of Trout Unlimited, hosted an information booth, fly tying table, and fly casting game at the 2nd annual Winters Salmon Festival on November 4, 2017. 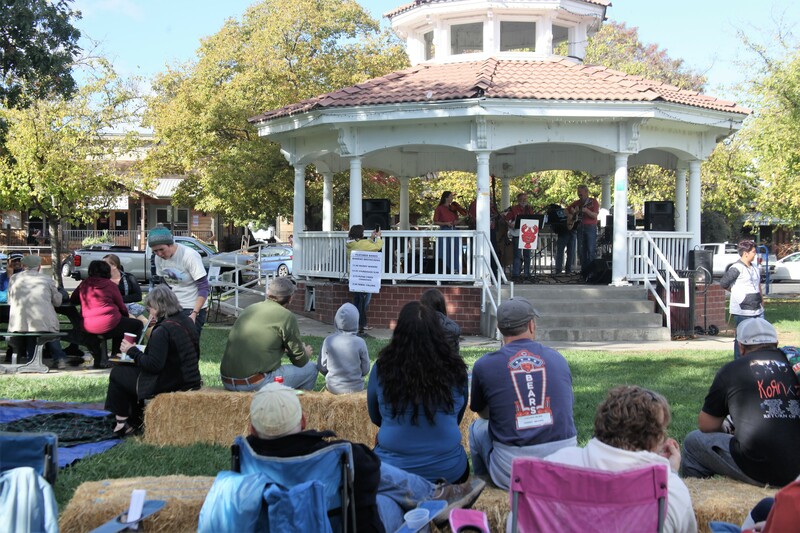 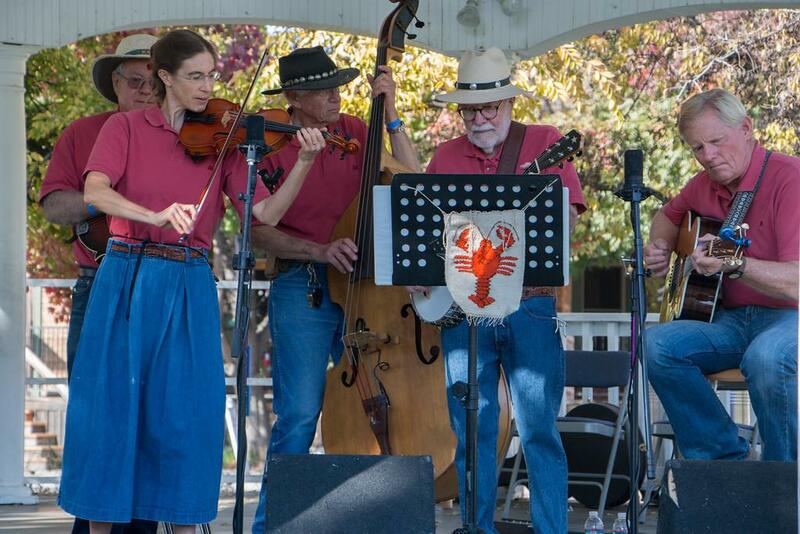 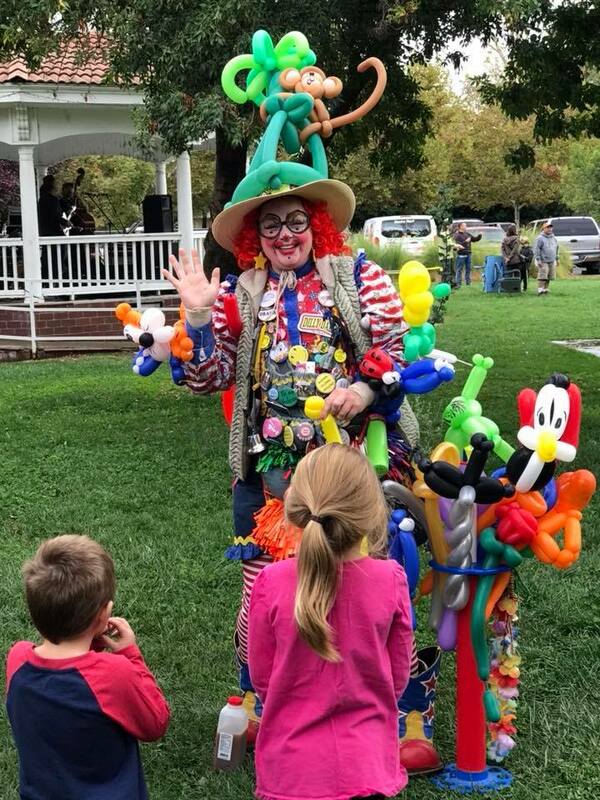 The Winters Salmon Festival celebrated the return of chinook salmon to the lower Putah Creek running through the quaint destination town of Winters, California. 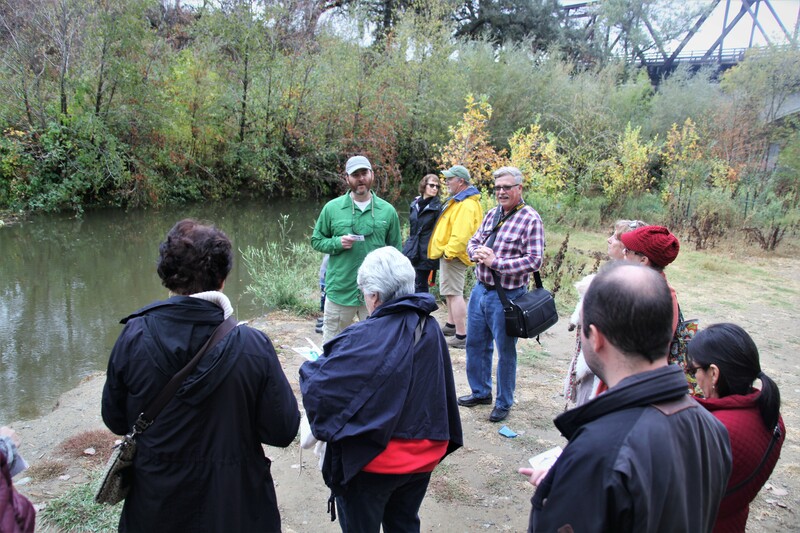 Record numbers of salmon were seen last year in the watershed [Davis Enterprise article]. 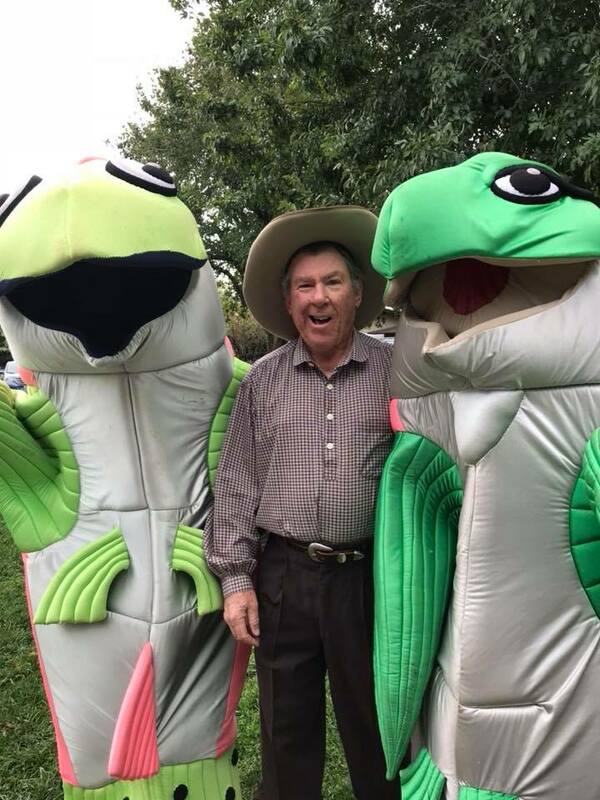 It was a great opportunity to talk up our little gem of a fishery and discuss our current efforts to make it even better. 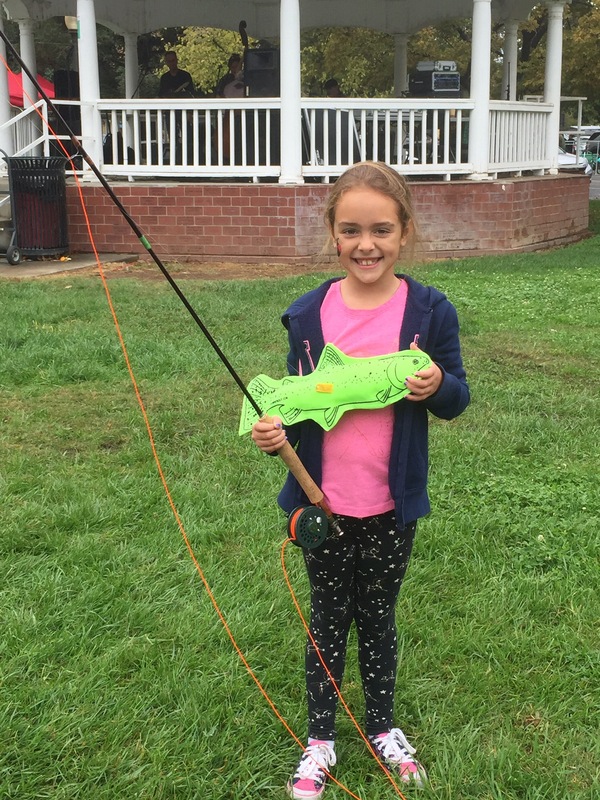 The kids especially enjoyed participating in the casting challenge and trying their hand tying some flies. 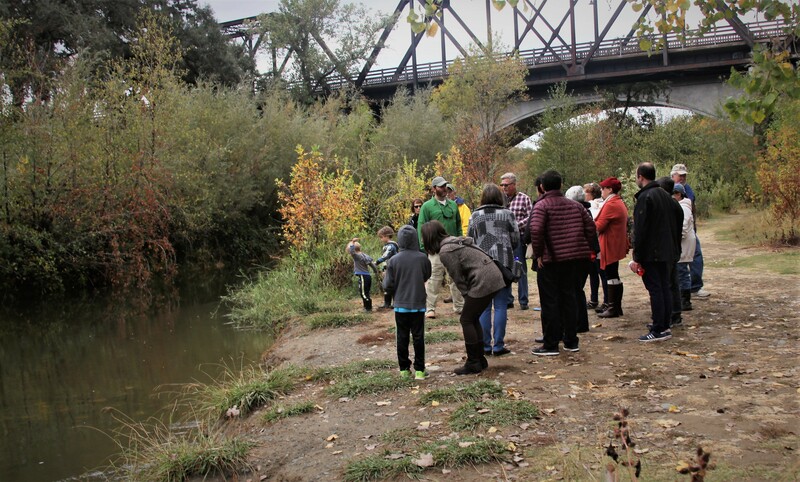 Hopefully they will soon come out and enjoy Putah Creek with their families.